Founded in 2009, Saksham Trust has been advocating for the rights and well-being of transgender communities in Chandigarh and Punjab. 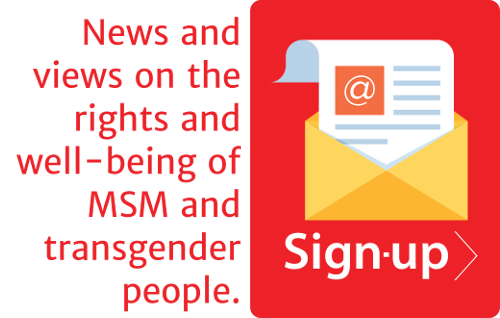 There are 2,000 transgender people, of whom 1000 were enrolled with the organisation. Saksham Trust is located in Chandigarh, Punjab and Haryana, in short distance between one to another provide good health care to the community but the attendance to the examination is not as targeted. HIV prevalence among transgender persons is relatively less comparing to other states. No street beggars are found begging in the state unless they are migrated from other states. The issues raised by transgender persons are for general reasons and not of specific. They establish good rapport with administrative body and government stake holder rather politician. The reason behind the emergence of this situation is, out of total transgender persons, many of them live with their families. Few of them are rich enough. The poverty stricken those are about one fourth of them are being supported by Gurus and Nayak. They support for their education. To relieve the transgender persons from stigma, it is practiced to provide them good education to them and they grow with self- esteem, self- confidence and self- sustainability. The education is given with the support of the leaders to lead transgender persons dignified life. The CBO motivates the transgender persons and identify those willing to continue their studies in the arts, technical in the colleges. It is believed by them that the education is the process that gives one a chance to live a dignified life. They allow the community to realize themselves and their potentials to shine in their life. Few of the entrepreneurs who engaged as beautician are very much thriving in their business. Mx. Dhanajay Chauhan, the Secretary of the Shaksham Trust, who has post-grad degree in human rights and social science studies, is well known for her social activities. She talks in different platforms on transgender persons and their dynamics. She fought for their human rights and she pleaded the government to have separate hospital for transgender persons. Mx. Chauhan asked the social welfare department to open transgender Welfare Board for their various rights and benefits. She created an enabling environment in the university to treat TG with no stigma. There are rich transgender persons spare their income to invest on education of the transgender persons. They try to reduce the inequality between poor and rich among transgender persons in the state. The legal awareness is periodically given associating with DLSA.